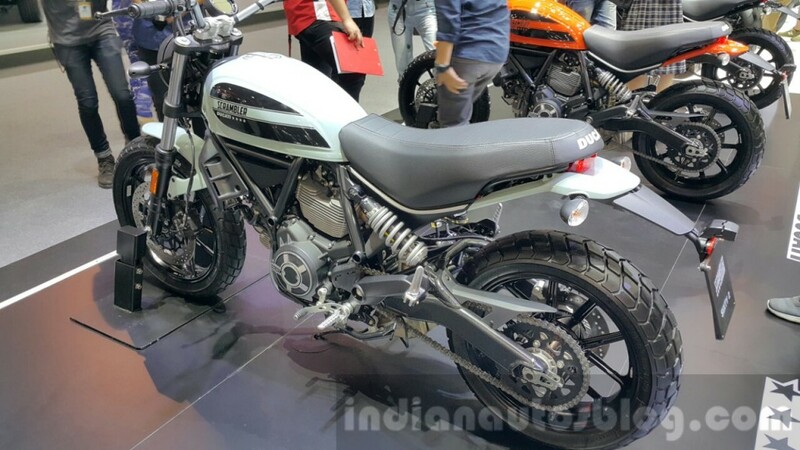 Ducati Scrambler Sixty2 perform at the Thailand Motor Expo (TME) 2015 in Bangkok. This is the first appearance in Asia. 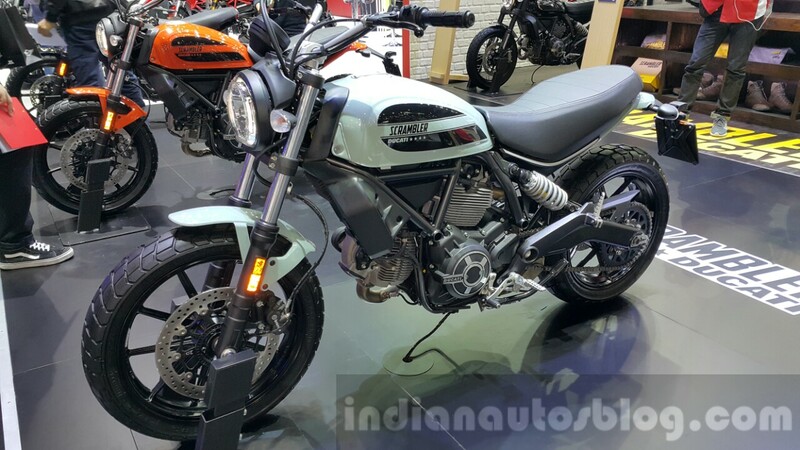 Previously the Ducati Scrambler Sixty2 official world's debut at the EICMA 2015 in Milan last month. As reported by Indianautosblog, Ducati Scrambler Sixty2 or can be referred as the Scrambler 400 is the younger brother of the Scrambler 800. This is reflected in the body design presented which is identical with Scrambler 800, including the engine construction. This retro-style motorcycle carried a 399 cc newest engine, L-twin, and two valves per cylinder. As a result, maximum power output reached 41 ps at 8,750 rpm and torque of 34.6 nm at 8,000 rpm. This bike is also fitted a six-speed transmission system. 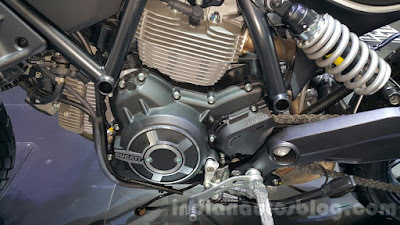 Another important feature offered by Ducati includes a 41 mm fork, disc brakes on both wheels complete with ABS, steel pipes swingarm, stainless steel tank accommodate up to 14 liters of fuel, and black exhaust. While on the legs mounted a 18-inch rim with 110/80 Pirelli tire at the front wheels and a 17-inch rim with 160/60 Pirelli tire at the rear.